As I mentioned yesterday, my brother-in-law is getting married on Friday. I suppose that I’ll forgive them for barging in on our anniversary month (wink wink). M&T live in Chicago where it is currently freezing, so they were so smart to have the wedding here in San Diego where it is (almost) always sunny and lovely. And I figured that since this is a once and a lifetime event (hopefully!) I would dedicate this week’s Rainbow Wish List to the wedding and other lovey dovey mushy stuff. Enjoy folks! 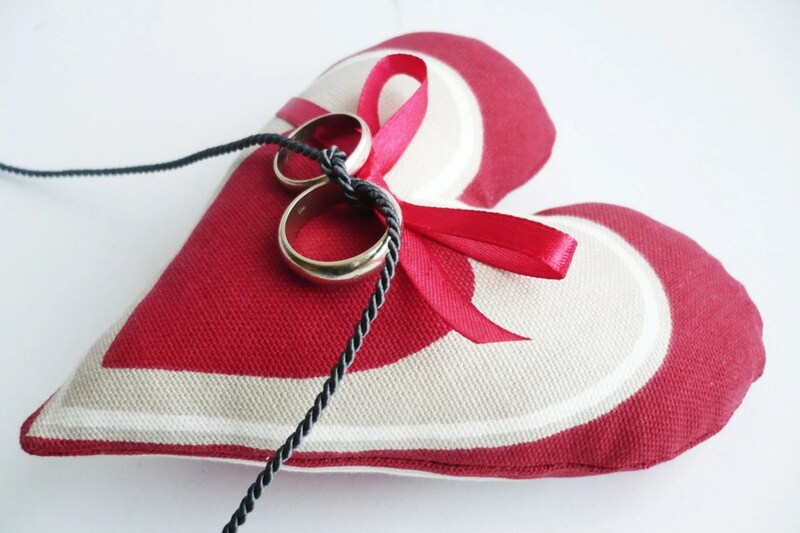 Red: This darling little ring bearer’s pillow is original. It’s not white satin and lace with the expected silky ivory ribbon. Nay, this pillow makes a statement! It’s bright, bold, and red; the heart shape just adds to the fun. 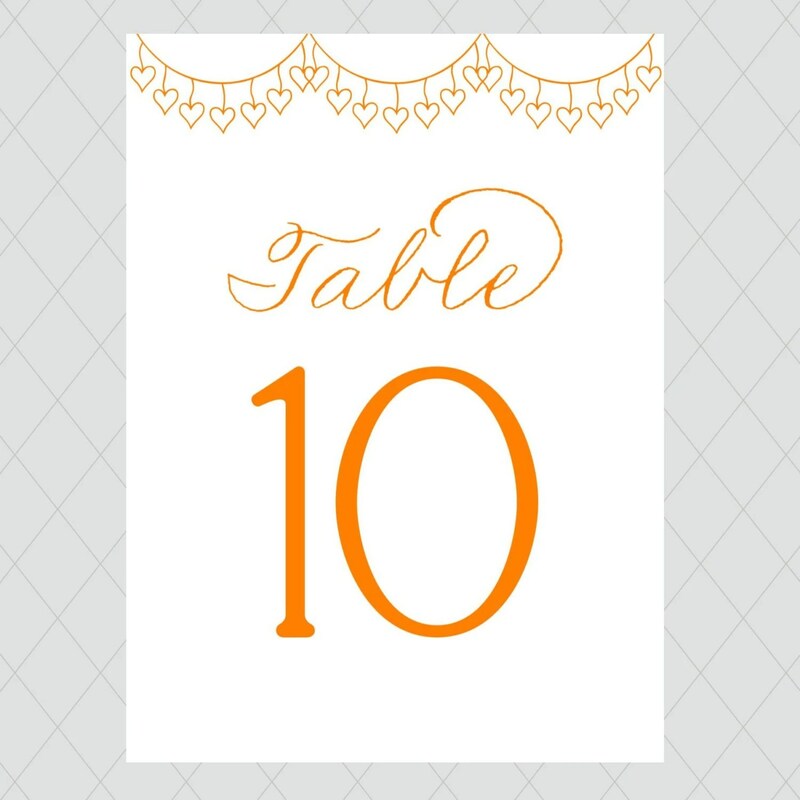 Orange: I love table numbers, they truly are one of the unsung heroes of weddings. Just imagine the confusion that would arise at the beginning of a reception without table numbers! I remember how long my own took to make, yikes! My table indicators featured seashell names, not numbers… which is probably why they took so make. But who wouldn’t want to sit at the opihi table? Anyway, I like the fancy flare of the table number above, the imperfect, hanging hearts are right up my alley. Good design! 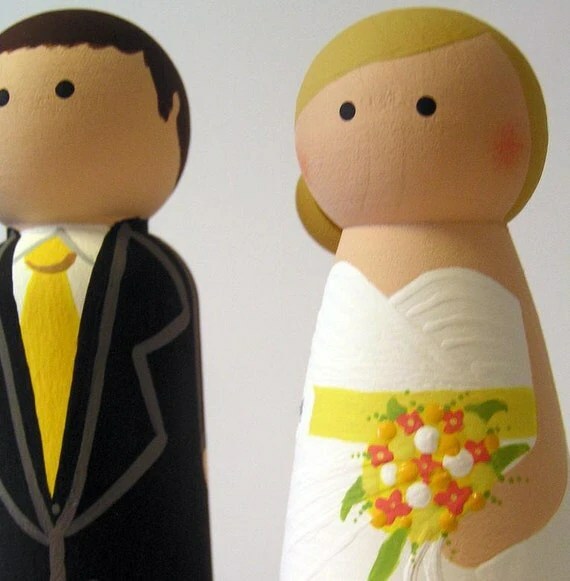 Yellow: These little peg people are cake toppers… and they are adorable! M&T’s wedding colors are yellow and grey so this actually fits their theme quite well. And what initially drew me to this topper is that it looks as though it was custom made for them. M has dark hair and tan skin (well, he did before he moved to Chicago) and T is a Nebraska-born blonde. This really should be gracing their cake! 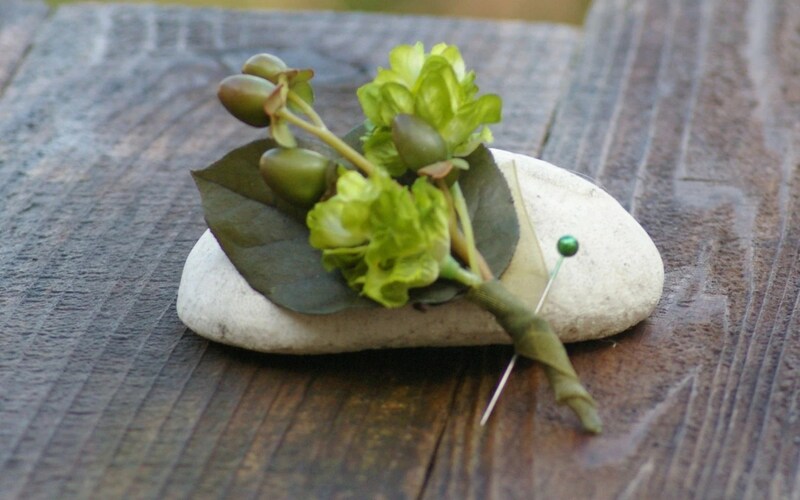 Green: I am a giant fan of this boutonniere! Even though Husband wore a white rose boutonniere at our wedding, I now much prefer a groom’s boutonniere to be a bit more masculine. And this little greenie says formal, but not girly. It is perfection; masculine perfection. Blue: If you search for “something blue” on Etsy one million items pop up! Literally, one million. 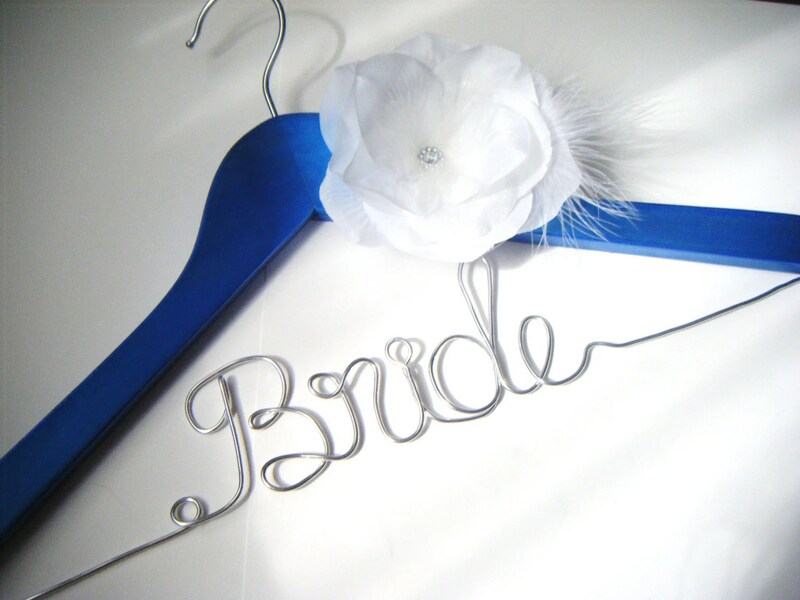 I went back and forth on different blue finds but finally settled on this lovely hanger because it’s frickin’ awesome! I love the shade of blue that the actual hanger is and I am in awe of anyone who can bend wire like that. I always have a difficult enough time untwisting wire hangers when trying to make smores! Indigo: Okay, I might have cheated a bit on the “indigo” this week, but I only did that because I really, really like this tank top set. 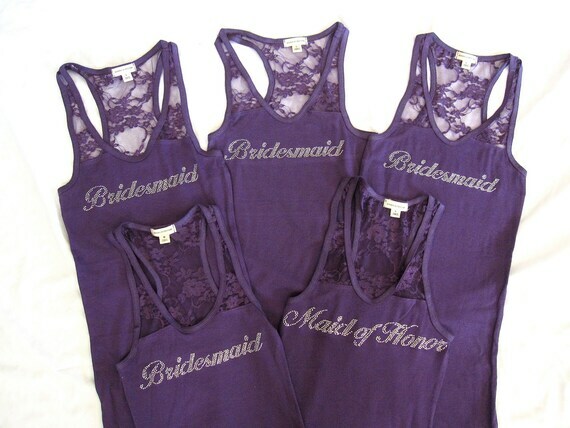 I wish that my bridesmaids and I would have worn something like this on my big day. I like the designer’s use of lace alongside the cotton. Clever, clever. Violet: The card holder! Um yah, I forgot to buy (or make) one of these for my wedding. 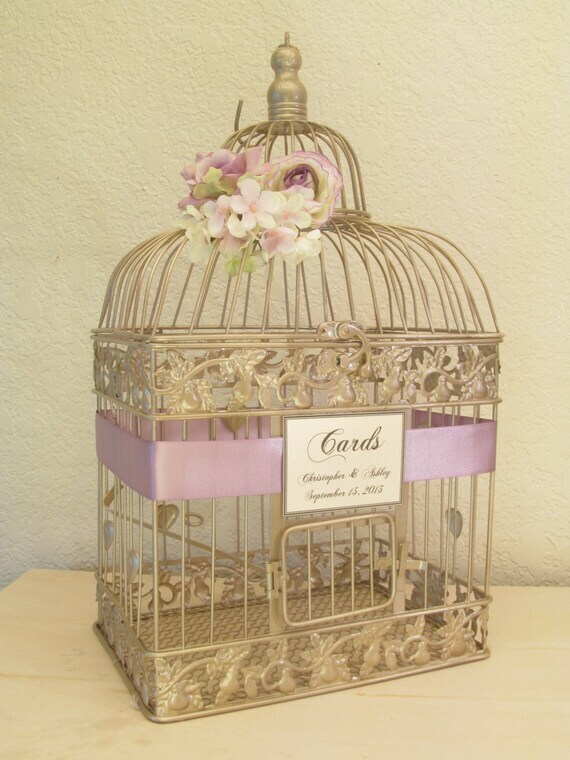 This bird cage card holder is a vast improvement over the traditional gift wrapped shoe box! I adore the simplicity of the extras added to the cage; the designer definitely understands that less is more. Just in case you wanted to know what M&T look like; this is them. 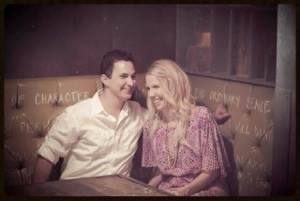 I’m positive that you’ll be seeing much, much more of their wedding around here over the next few days. I’m gonna have my first blonde sister! And I would venture to say that if I had let them select the items in the RWL, these two little gems would have most likely appeared. They are giant Norte Dame and Nebraska fans! 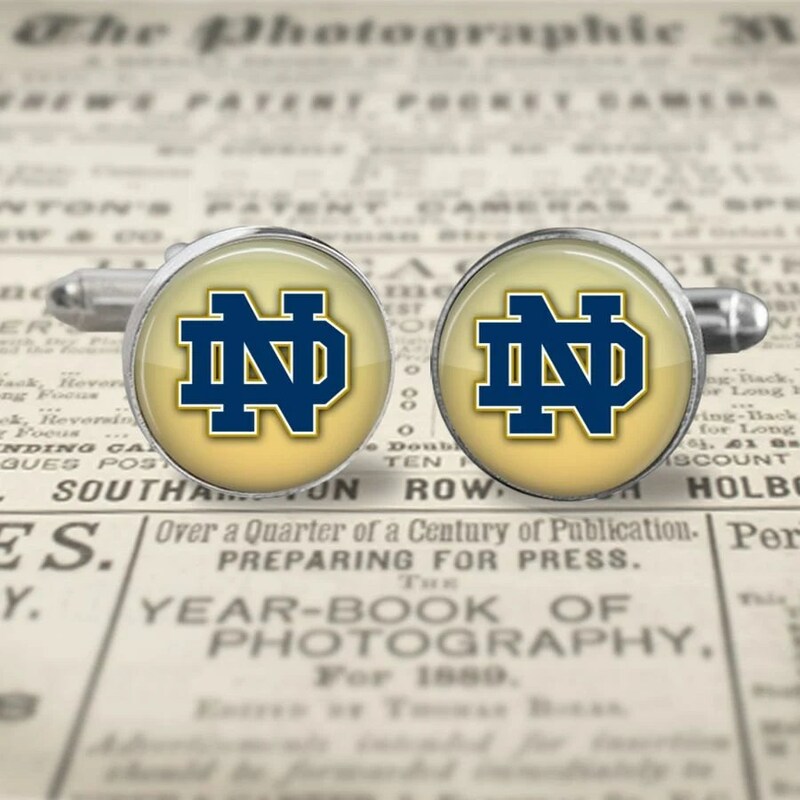 And I am now wishing that I would have thought of buying these for them at an earlier date. Oh well!